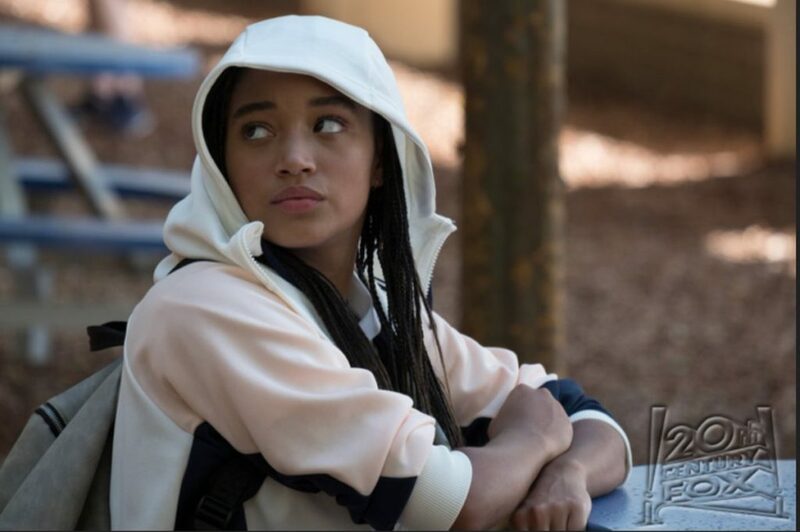 'The Hate U Give' Is a Powerful Must-See Drama: Read the Early Review! What does the new wave of YA storytelling look like? I’m pleased to report that brooding vampires and bleak dystopian universes are MIA. Instead, the hard-hitting focus is on the struggle to find your voice amid a racially and socially charged American landscape. This is the backbone of The Hate U Give. Powerful and obviously topical, the adaptation of Angie Thomas’ award-winning 2017 novel is one for the ages. Its heart is a bright Starr (Amandla Stenberg). At just 16, Starr readily admits that she vacillates between two identities. In her blue-collar, predominantly black neighborhood called Garden Heights, she hangs out at a local house party knowing full well that violence may erupt. Her parents (Regina Hall, Russell Hornsby) were born and raised here, and her reformed ex-con dad — who long ago taught her and her siblings the 10 points of the Black Panther program — will not move. Garden Heights may be gritty, but it’s a close-knit community where everybody knows your name. Meanwhile, in her tony private school, Starr makes sure that she is a model student. She refuses to use the same ghetto slang that rolls off the collective tongues of her affluent white classmates. She has a white boyfriend (Riverdale’s KJ Apa), and her BFFs are furious that he’s started pressuring her. “You should go all Beyonce on him! !” suggests one golden-haired girl named Hailey (Sabrina Carpenter). No, Starr muses in a voiceover, she wants to go Solange-in-an-elevator on him. Then her meticulously crafted two worlds fall apart. During a routine traffic stop, she watches a white cop jaw with her childhood best friend, Kahlil (Algee Smith). She pleads with him to the follow the rules that her dad taught her about the police: Stay calm, cooperate, put your hands where they can see him. But Khalil doesn’t listen and she watches in horror as the police officer fatally shoots him, believing that a hairbrush that he reaches for in a car is really a gun. The sequence is brutal. Starr the only witness. She wants to publicly reveal all to anyone who will listen so she can honor her friend’s legacy. Her overprotective mom — Hall is terrific, by the way — is horrified that her daughter is involved such a heinous crime and knows that going public will jeopardize her safety (and anonymity). A subplot featuring a local drug dealer (Anthony Mackie) adds to the fears. Hailey, unaware of Starr’s involvement in the high-profile case, simply expresses concern for the poor cop on trial. This is all heady material. And yet The Hate U Give, directed by George Tillman Jr. (Soul Food), never comes off like finger-wagging lecture. The film is consistently entertaining, and it features a glossy sheen commonly seen in big studio movies. That’s not necessarily a slight; I fully accept the unwritten rule that YA adaptations are prone to on-the-nose revelations and tidy, feel-better endings. As always, supporting characters, such as the activist played by Issa Rae, pop up just to point the heroine in the right direction. Starr is not a saint, nor does she speak dialogue with the same veracity of political talking head on MSNBC. For all the drama surrounding her, she still bickers with her boyfriend leading up to the prom. In an amusing scene, Starr and her brother give him tips on how to deal with her judgmental dad who just can’t understand why Starr is dating a preppy white dude. 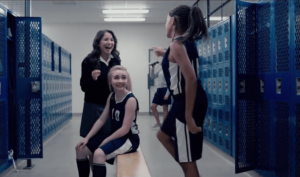 Like most teens, she also falls in and out with the same classmates that she’s never ever befriend as an adult (albeit under heightened circumstances). Yep, even street-smart teen girls want to be enmeshed with the popular crew. But her story matters. And Stenberg, appearing in 99 percent of the scenes, carries it all on her capable shoulders. The young Rue from The Hunger Games is vulnerable yet headstrong when she needs to be, culminating in a truly galvanizing moment that will make you stand up and listen. I hope this breakout performance leads to the same kind of high-profile opportunities that befell to YA alums such as Kristen Stewart, Robert Pattinson, Jennifer Lawrence, Ansel Elgort and Shailene Woodley. Dare I even say it….? A Starr is born. The Hate U Give, which had its world premiere at the Toronto International Film Festival, opens in limited theaters on Friday, October 5 and everywhere on Friday, October 19.